Installers and suppliers of paving slabs in Newcastle upon Tyne. Getting the right paving slabs for your patios or pathway is important. Afterall you will be looking at the impact for many years to come, therefore it needs to be aesthetically pleasing to the eye. We have an extensive range of quality paving slabs from leading manufacturers which are great for many types of homes and gardens. From classic natural slate to Indian sandstone and premium limestones. With a number of textures and colours to choose from you will be spoilt for choice. Natural stone paving slabs are very popular at the moment, we have some fabulous traditional and contemporary designs. These products can certainly bring a classic style to any outdoor area. 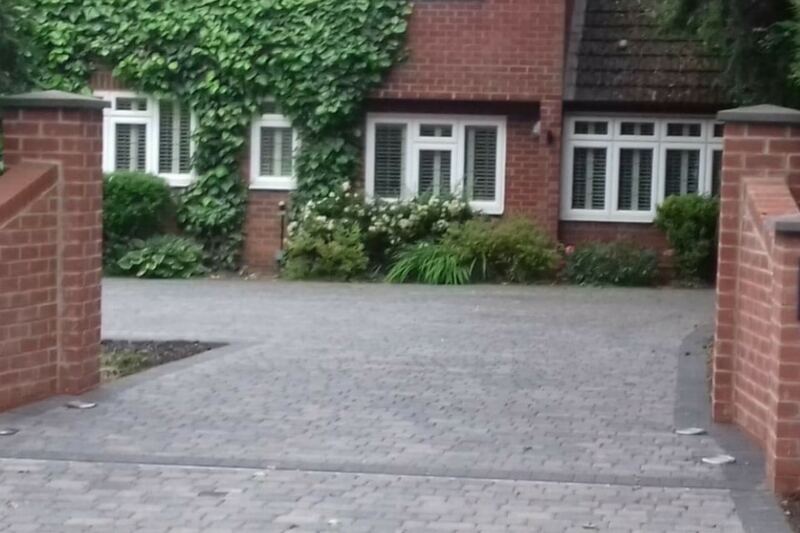 Over recent years the paving industry has developed dramatically in both style and design. With stunning designs, features, edging and walling to match the paving slabs. Interest can be added to garden patios by adding matching circle features or adding matching edging or walling to the project to give it that wow factor. N & P Paving and Driveways, have years of experience in the paving industry and have a great eye for detail when it comes to design. Furthermore, it is important to choose paving slabs which match the surrounding environment and this is where we can certainly help. When it comes to your project, from the initial design to suggesting the right flags, sourcing the products, laying the foundations and adding those finishing touches. The team of pavers at N & P can take care of your paving project from start to finish. Free quotations are offered for customers in Newcastle, Gateshead and surrounding areas of the North East. Please contact us for a quote on your next project. Finally, if you would like to keep up with all our latest news please join our Facebook Page.